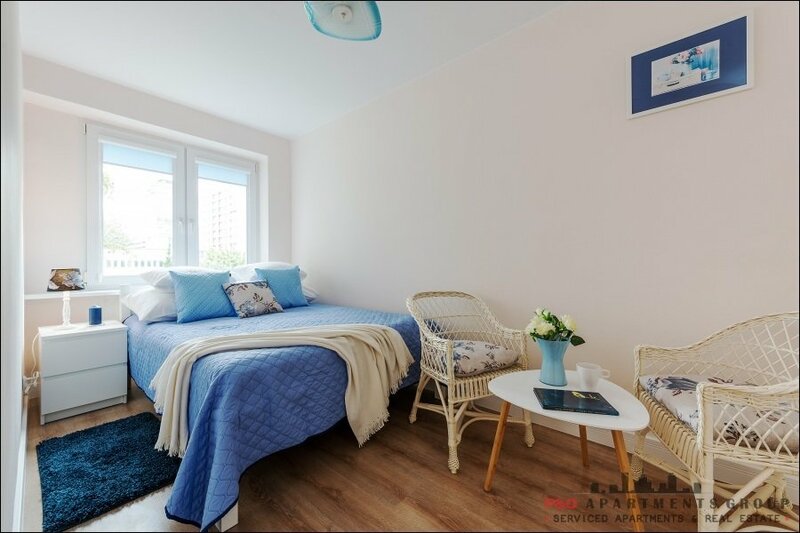 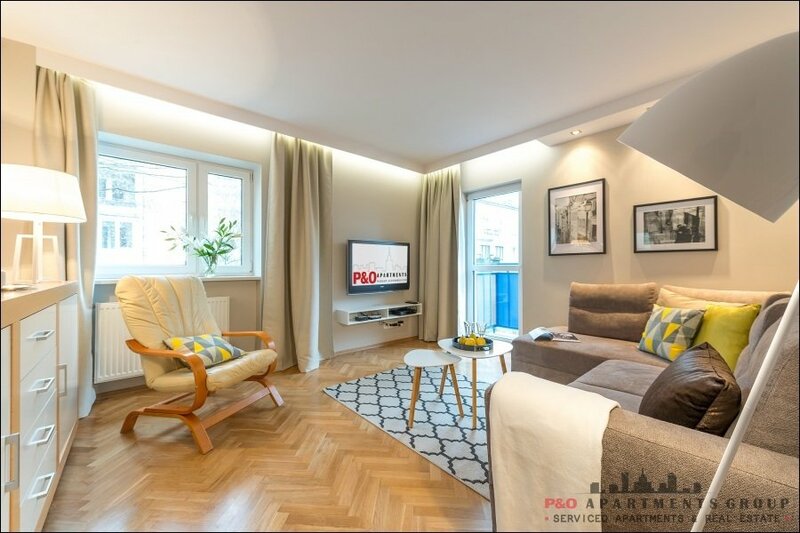 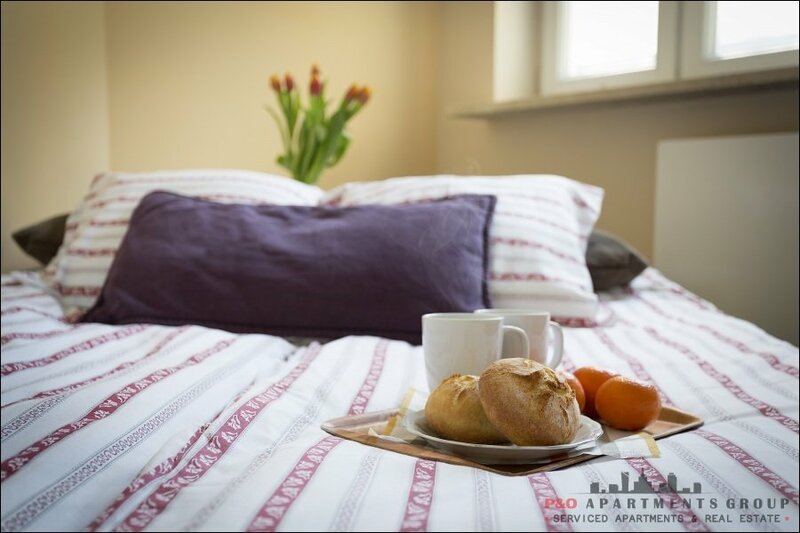 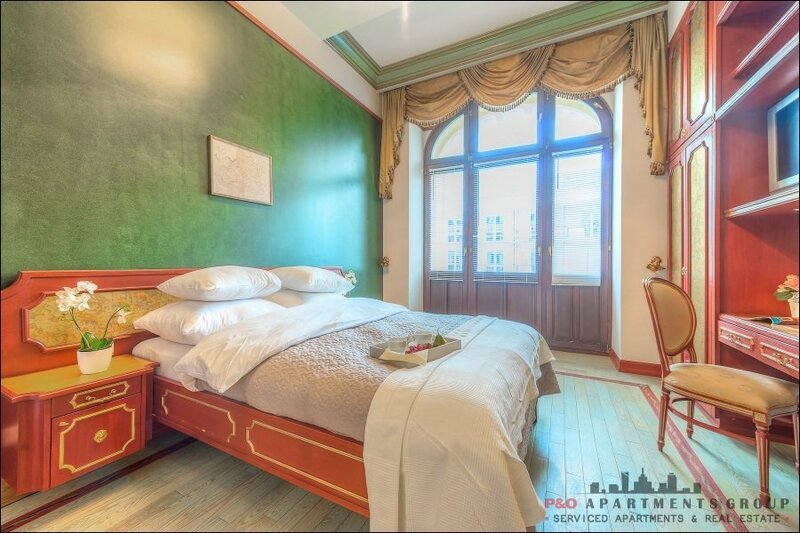 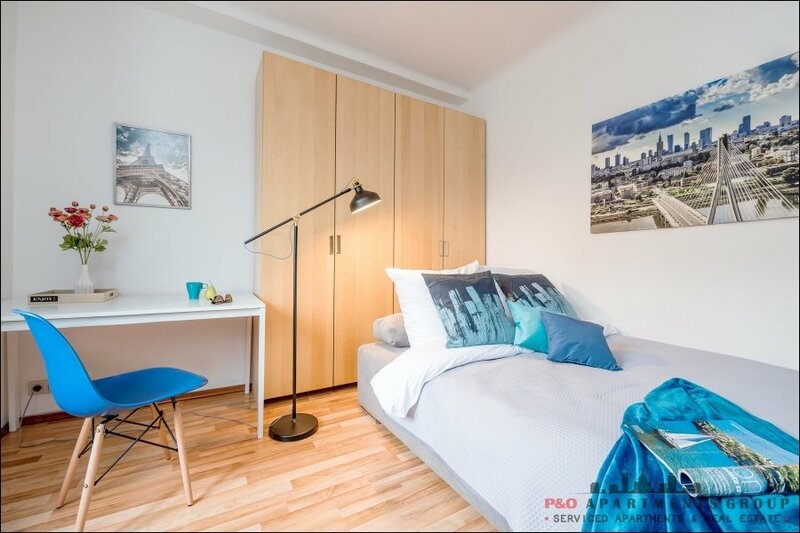 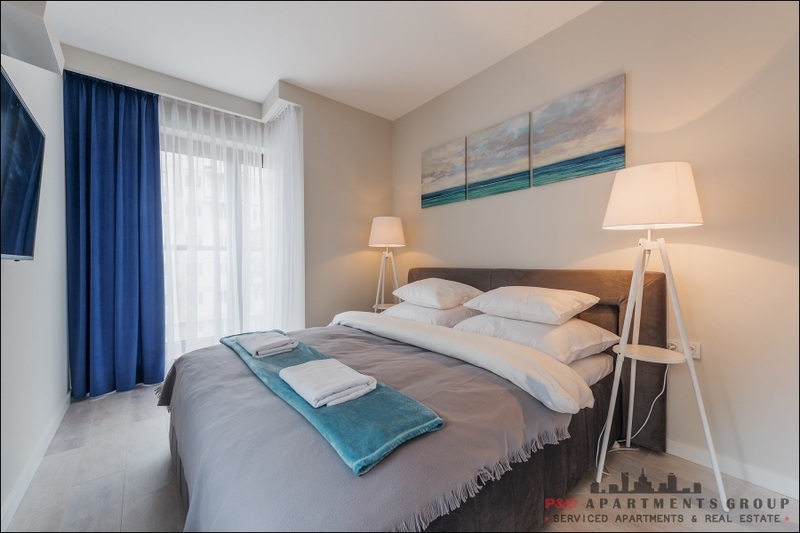 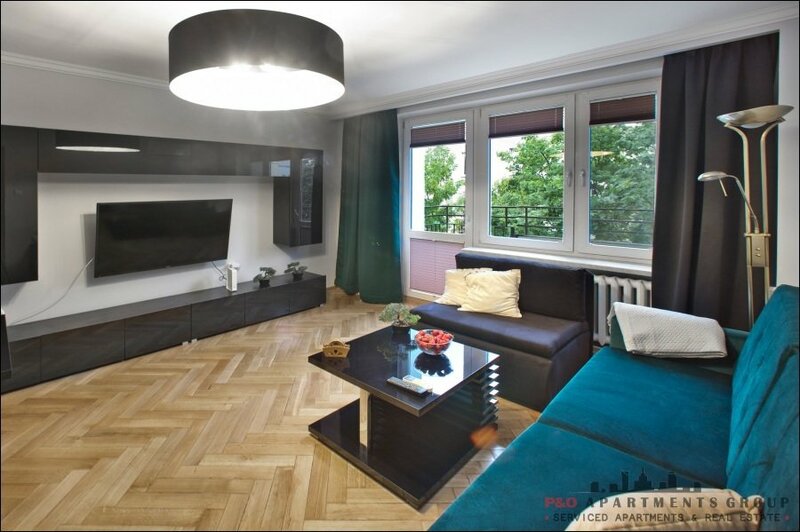 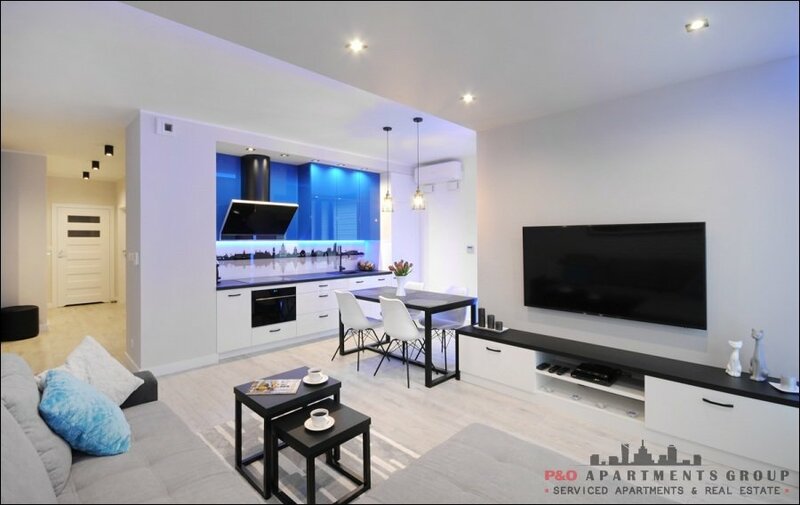 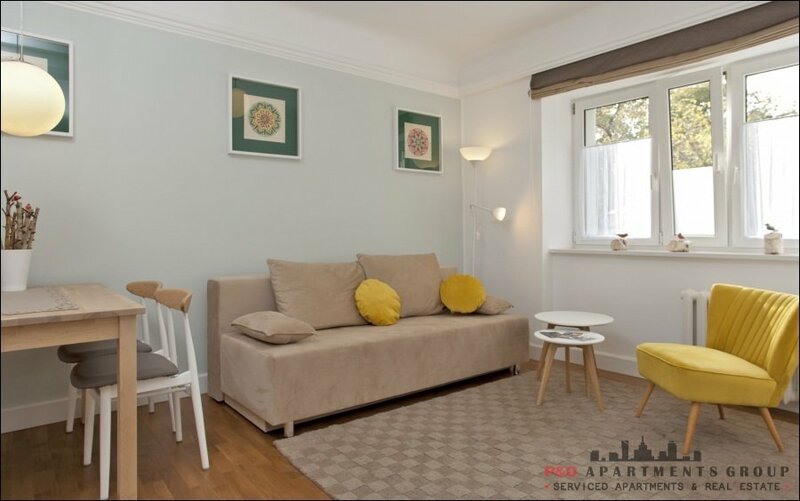 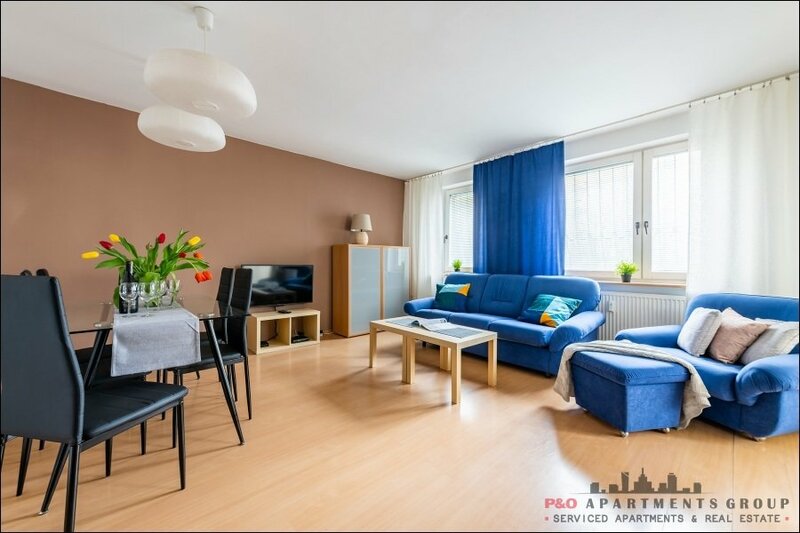 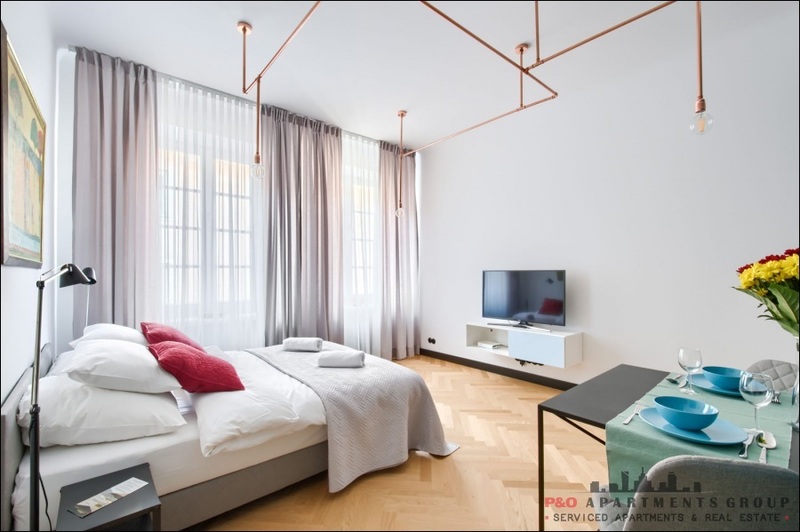 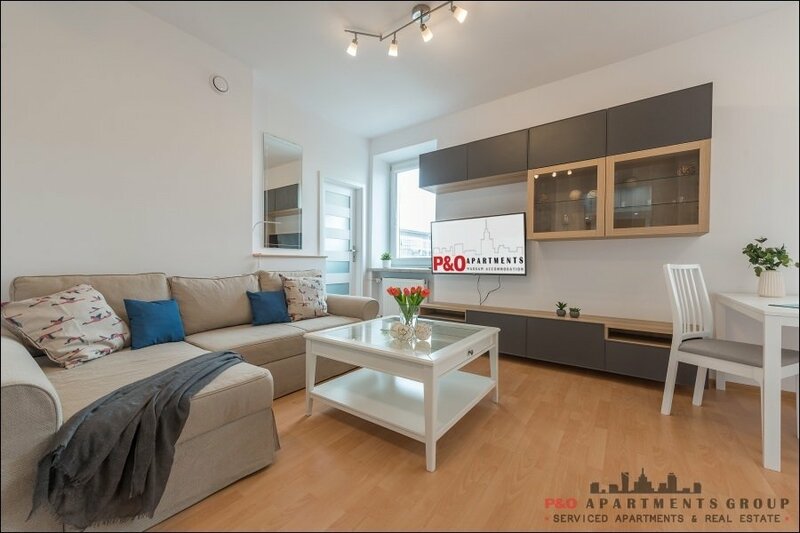 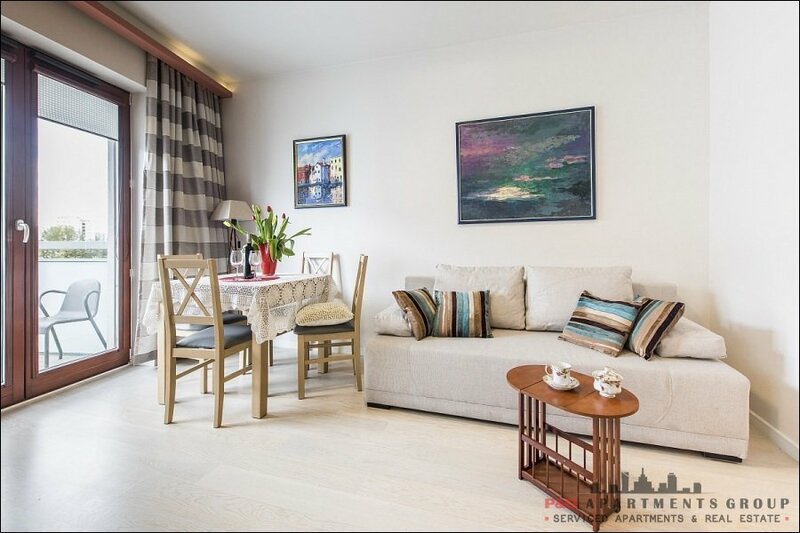 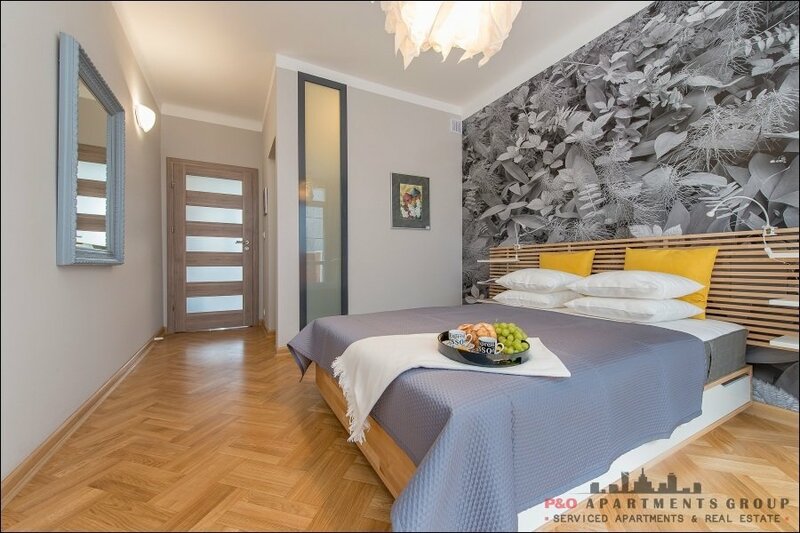 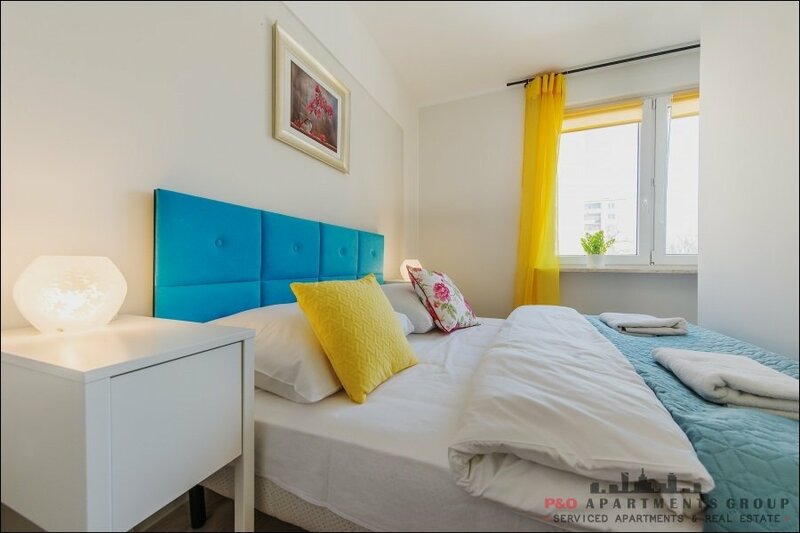 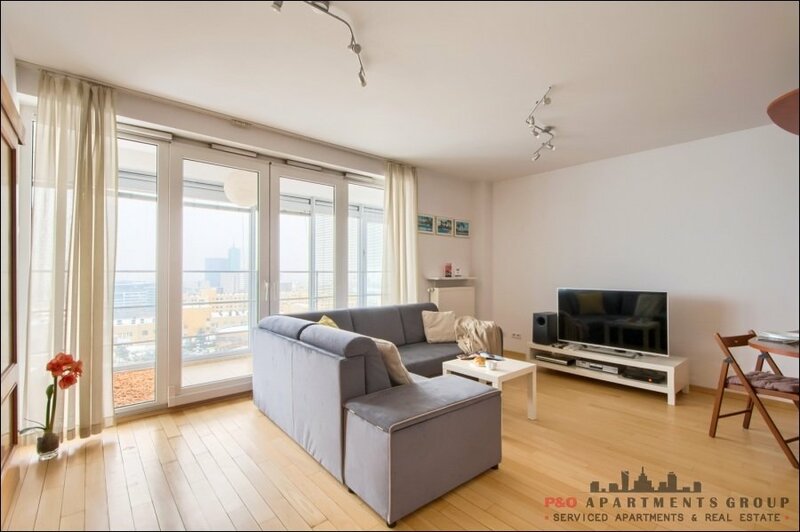 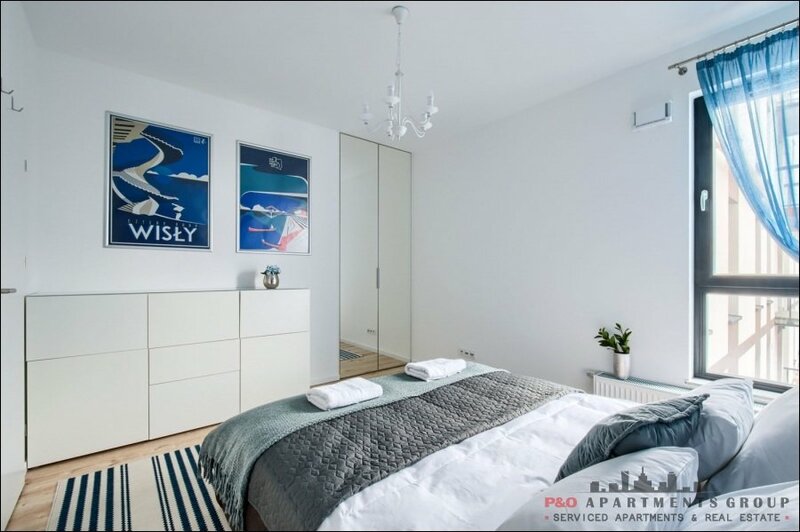 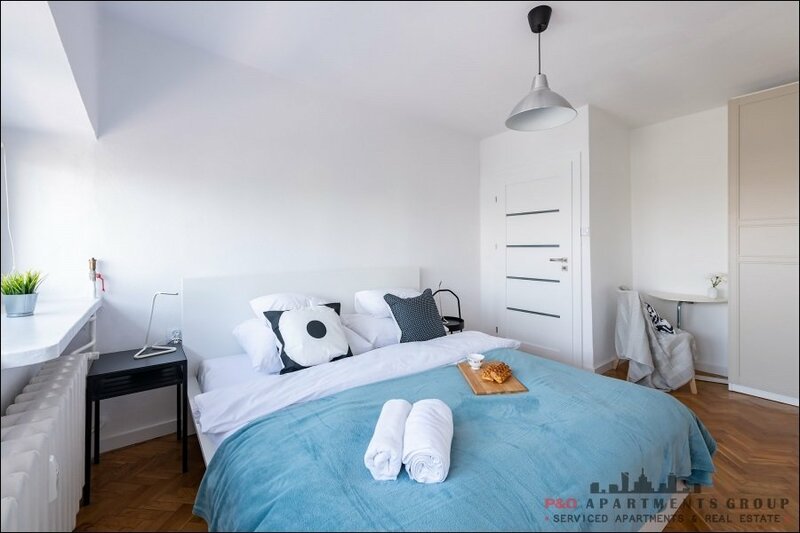 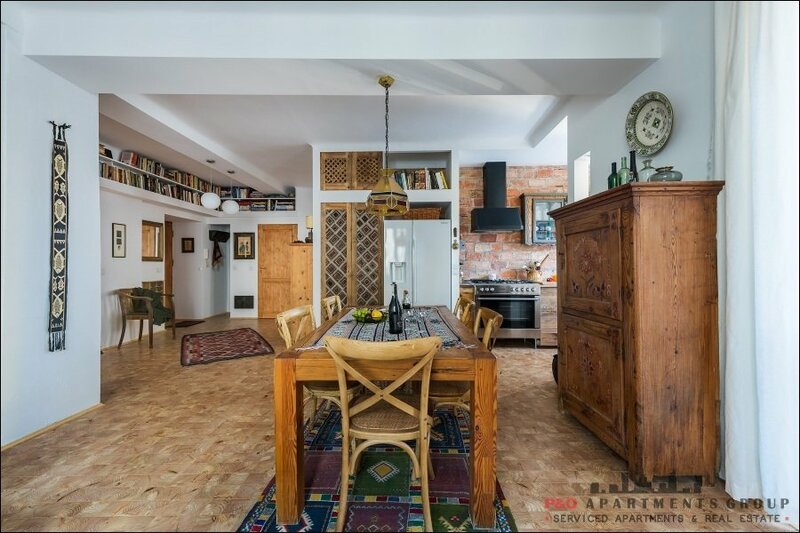 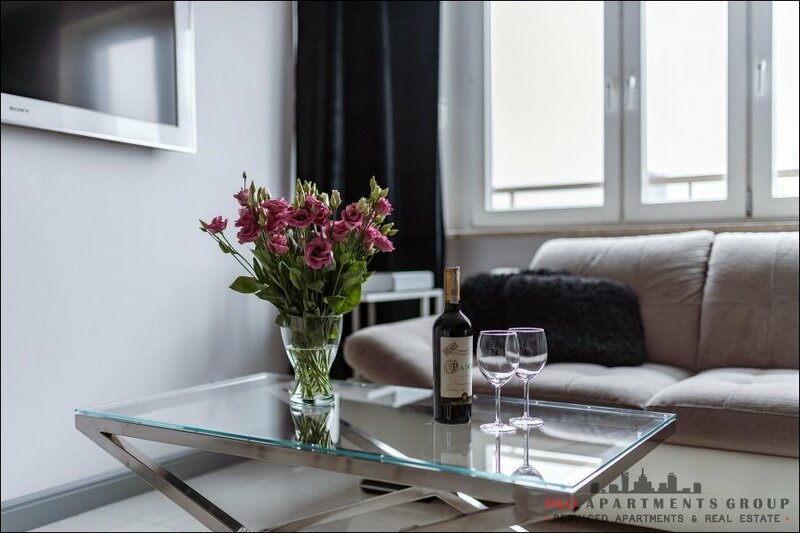 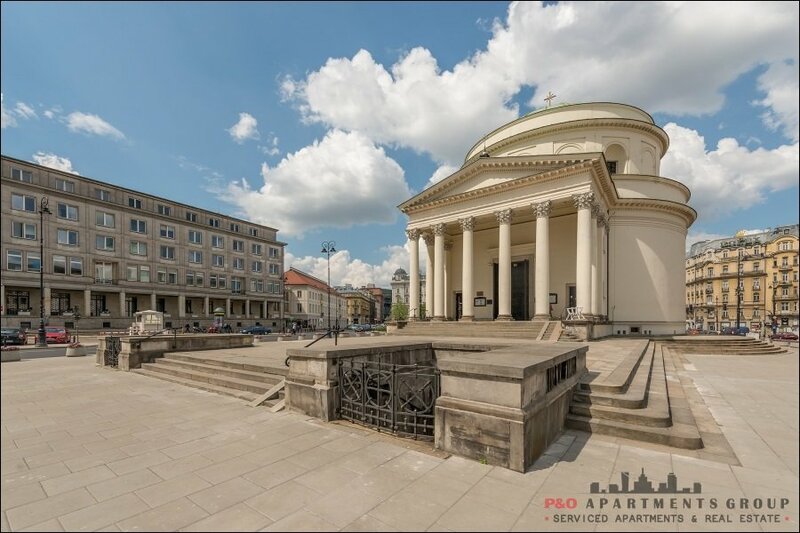 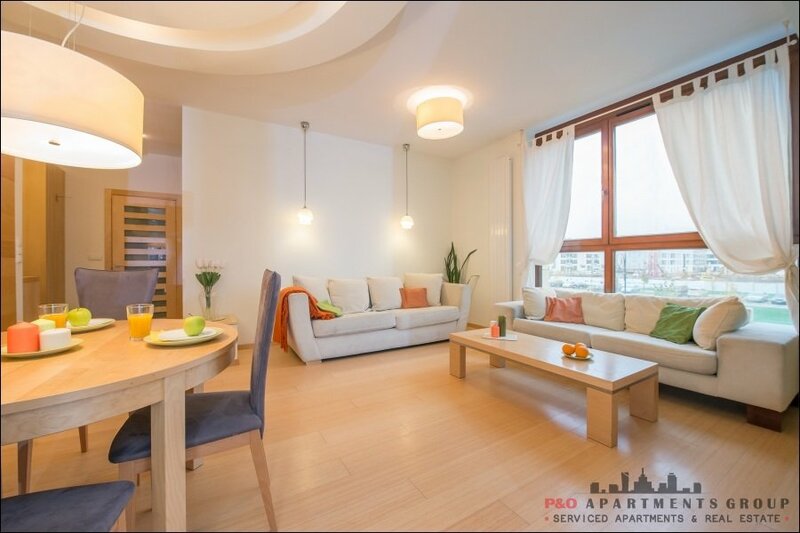 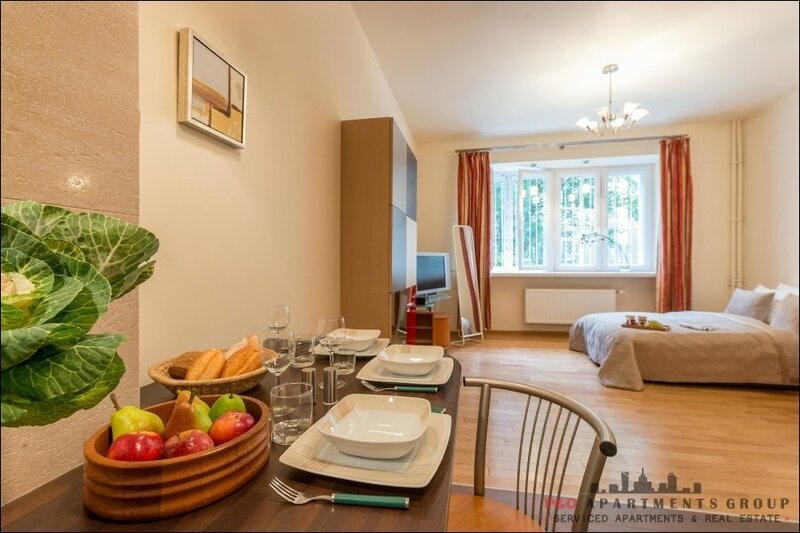 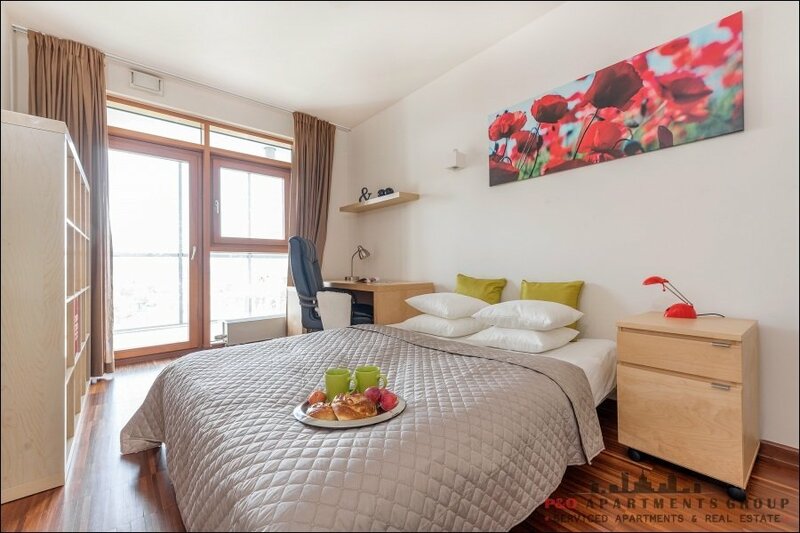 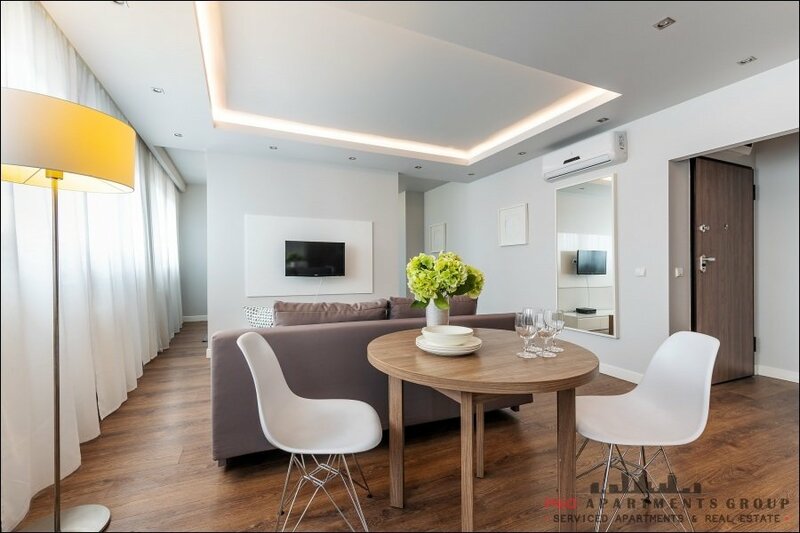 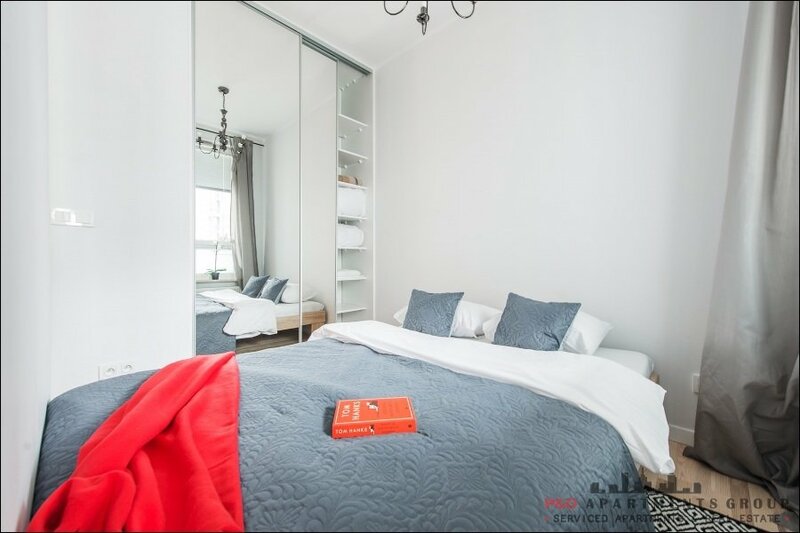 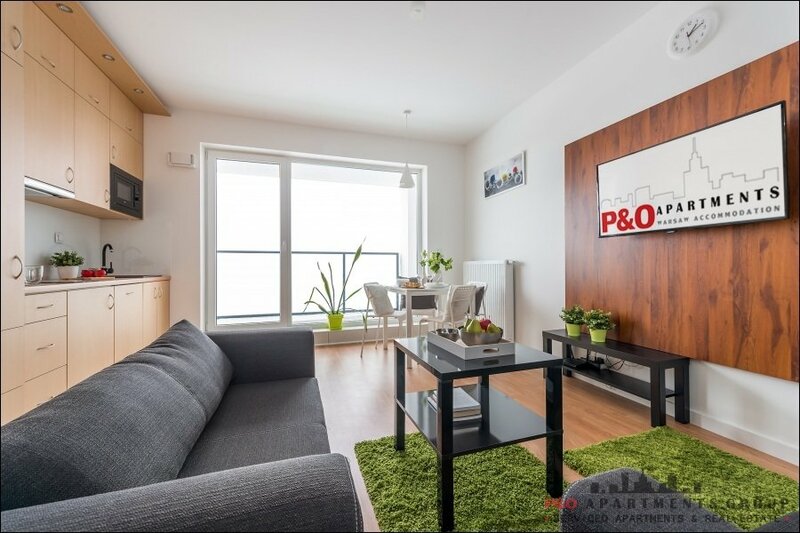 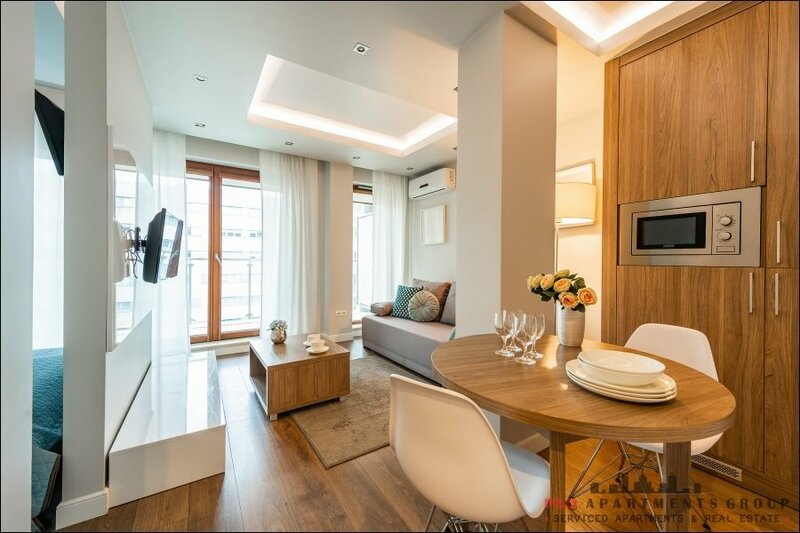 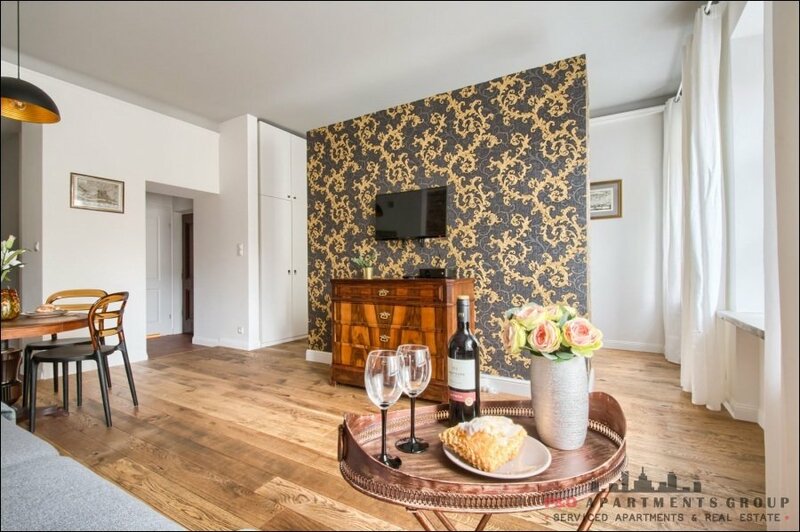 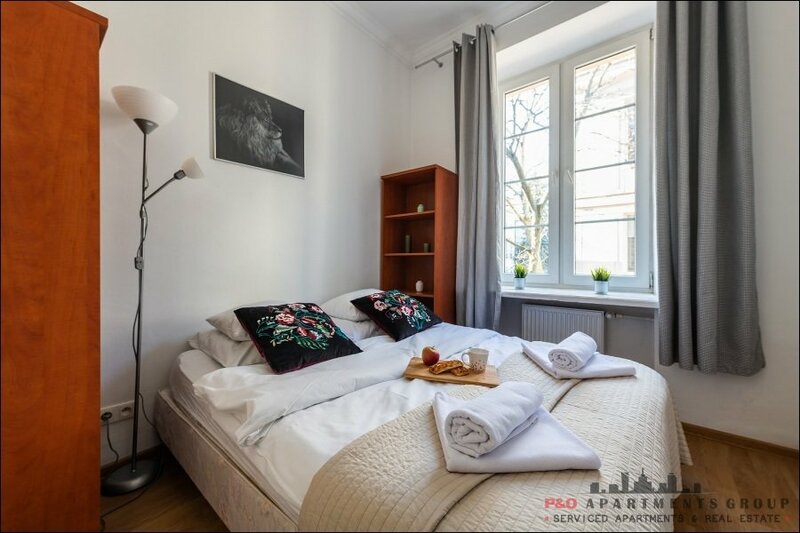 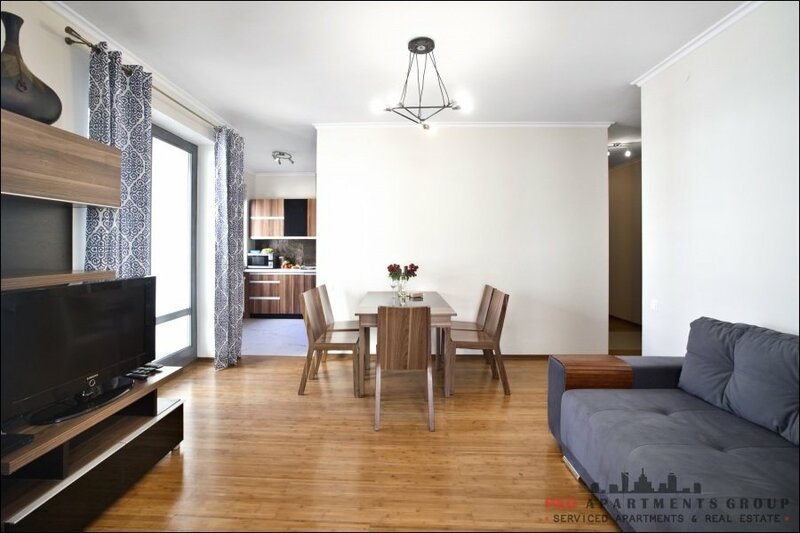 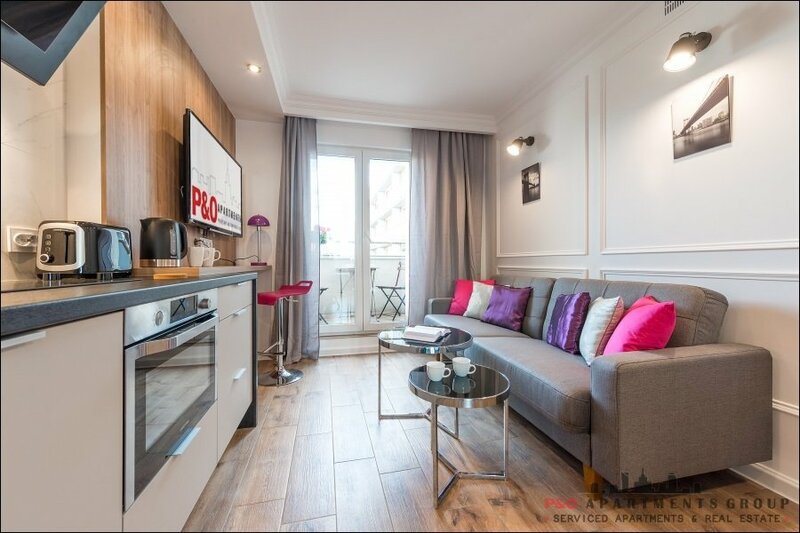 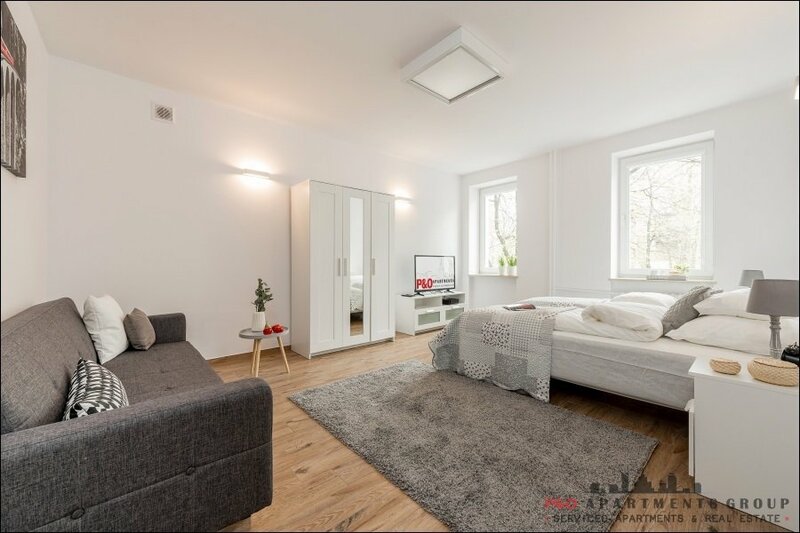 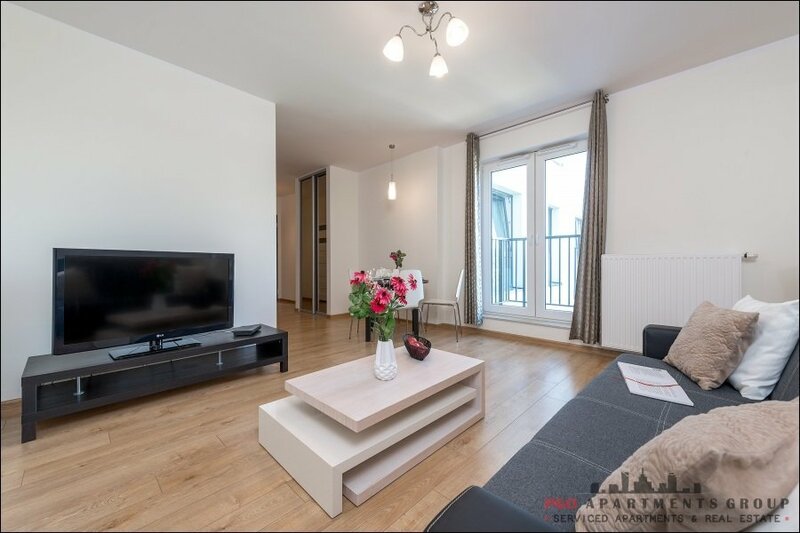 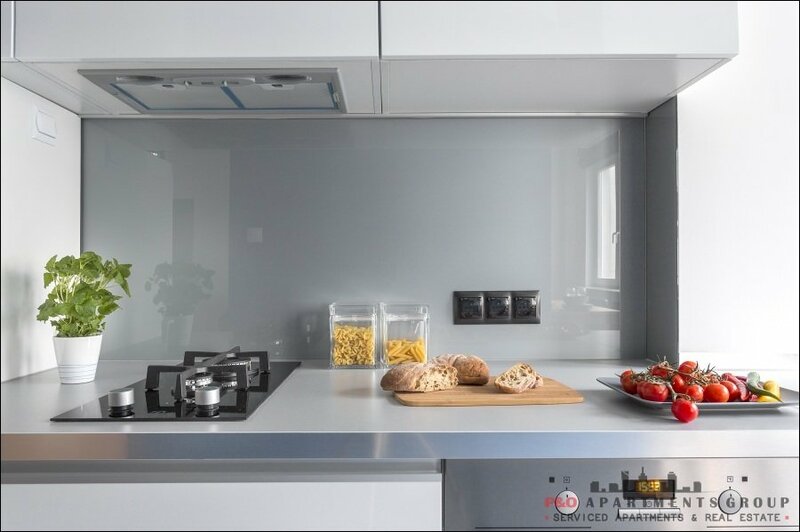 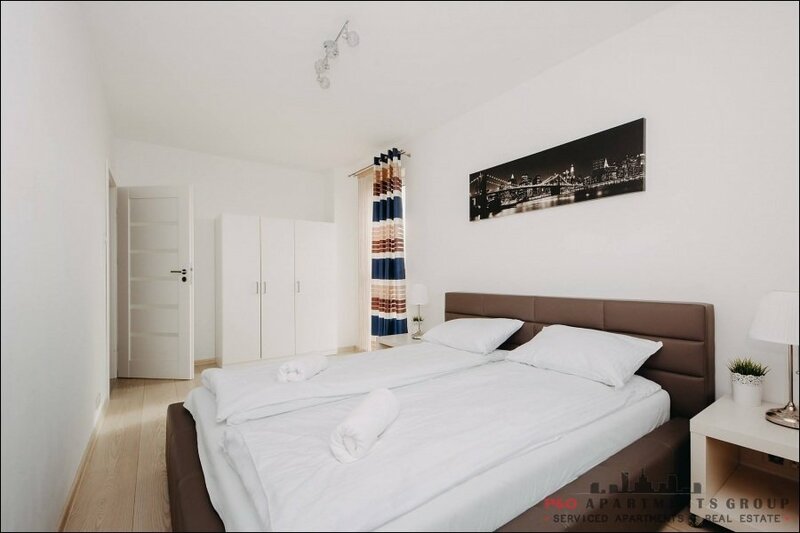 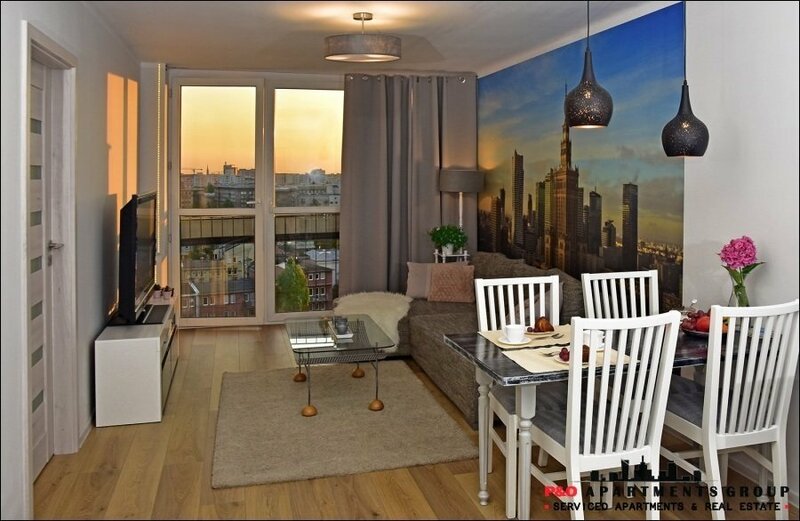 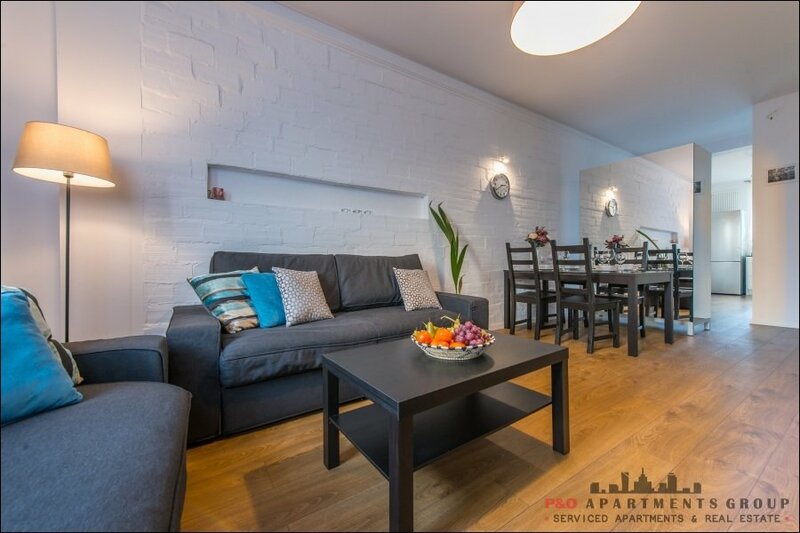 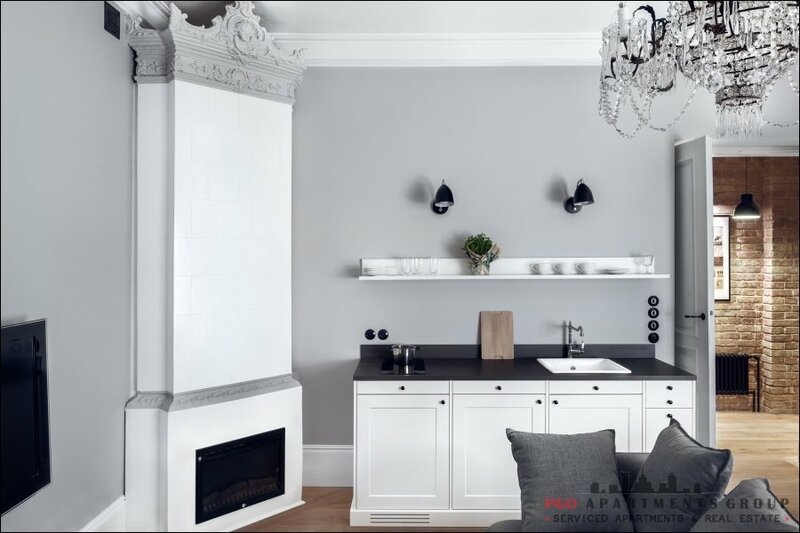 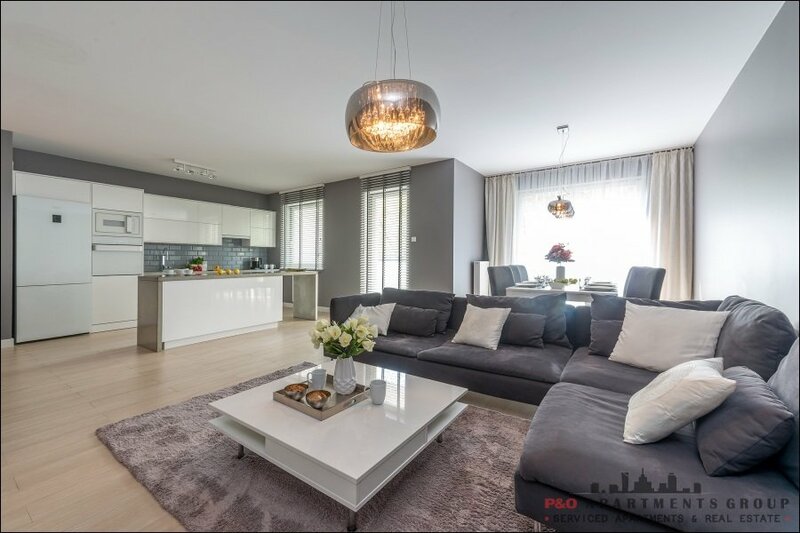 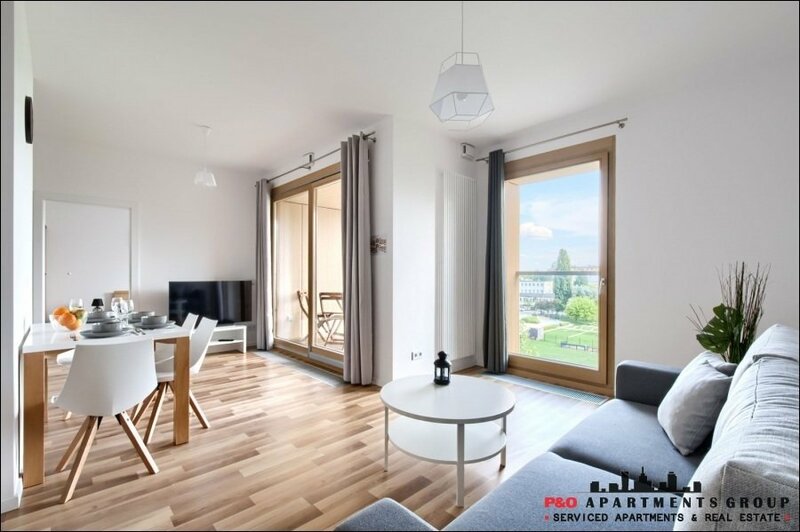 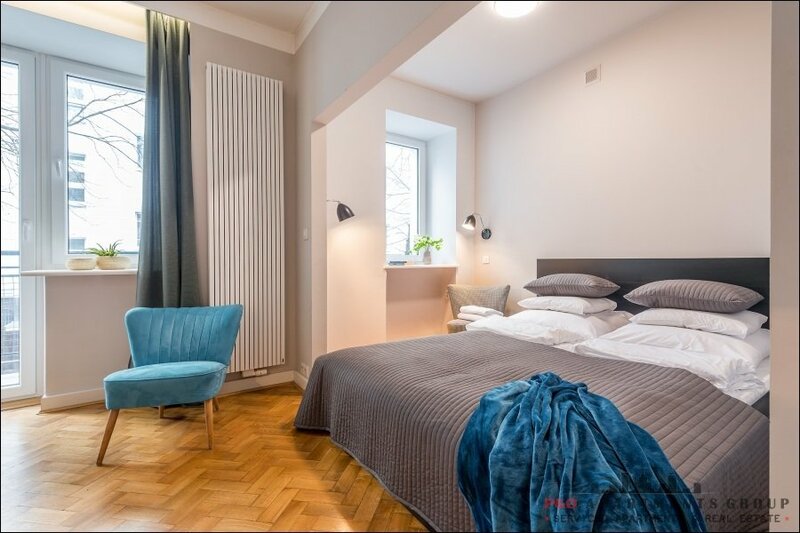 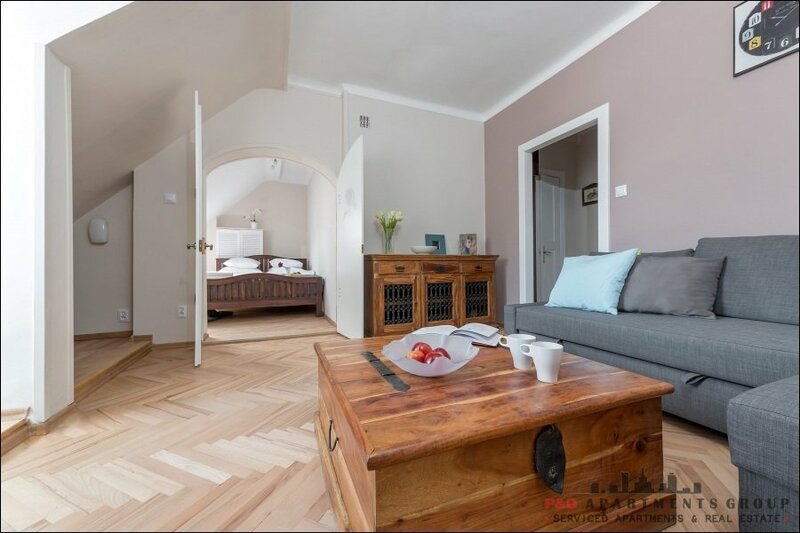 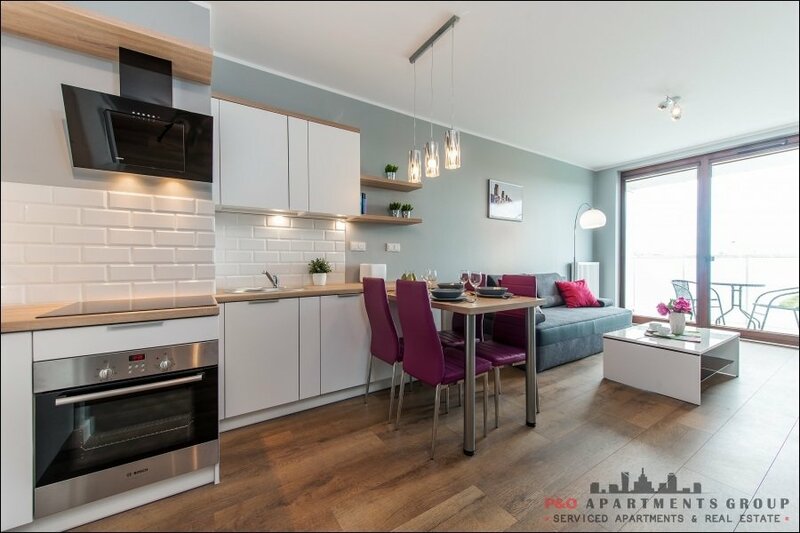 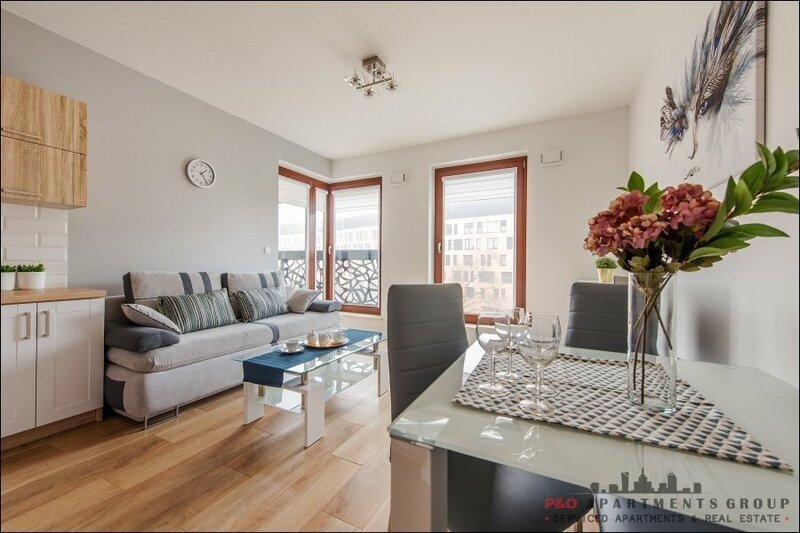 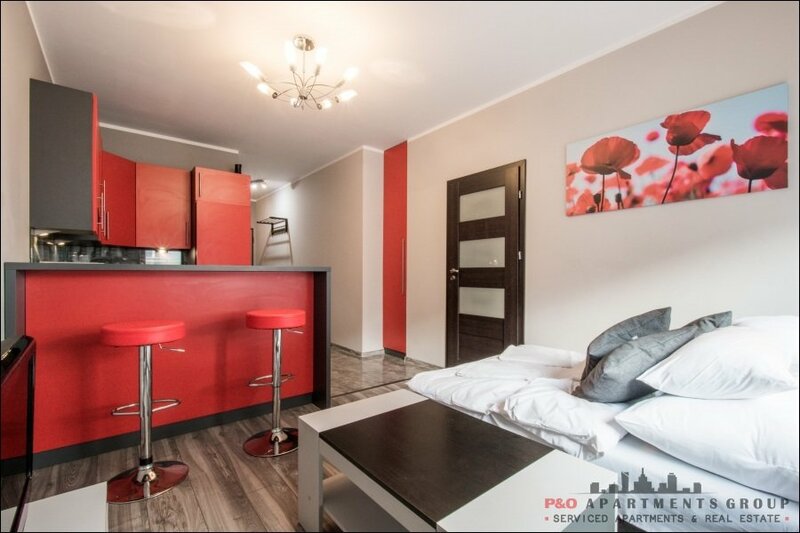 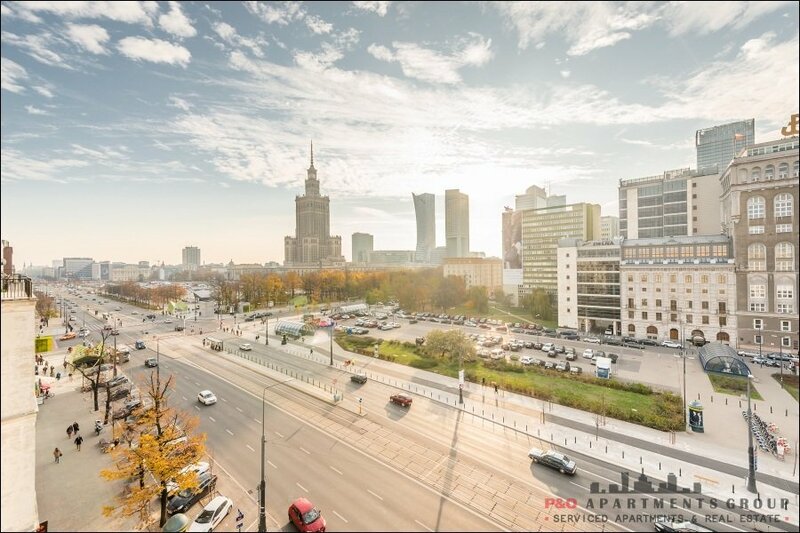 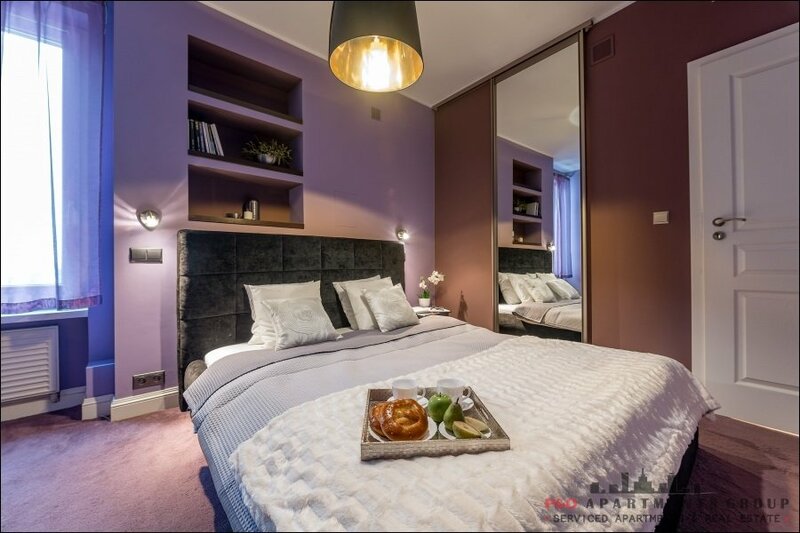 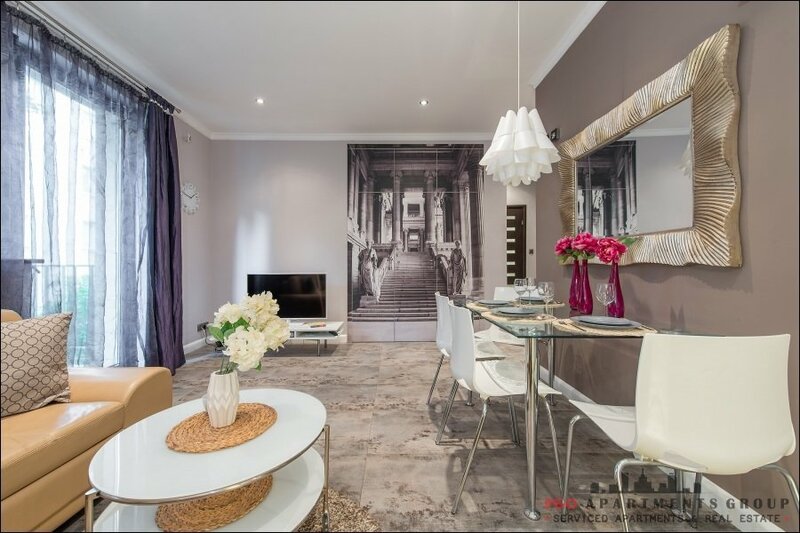 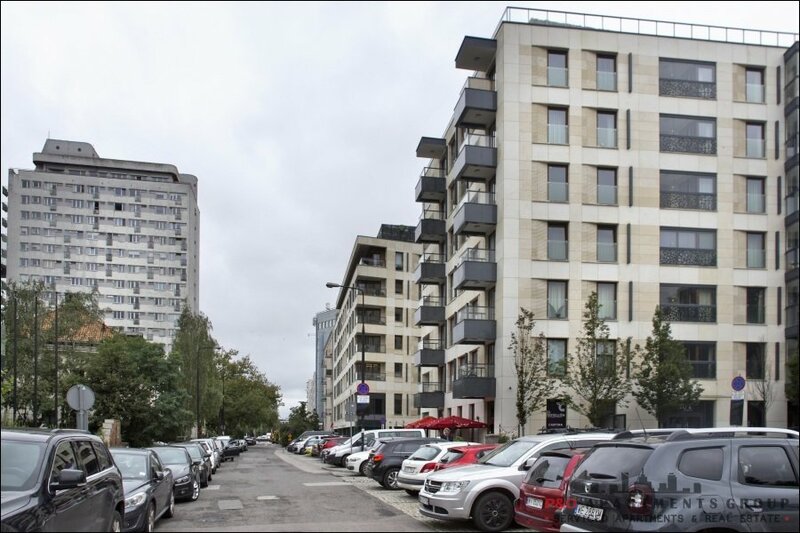 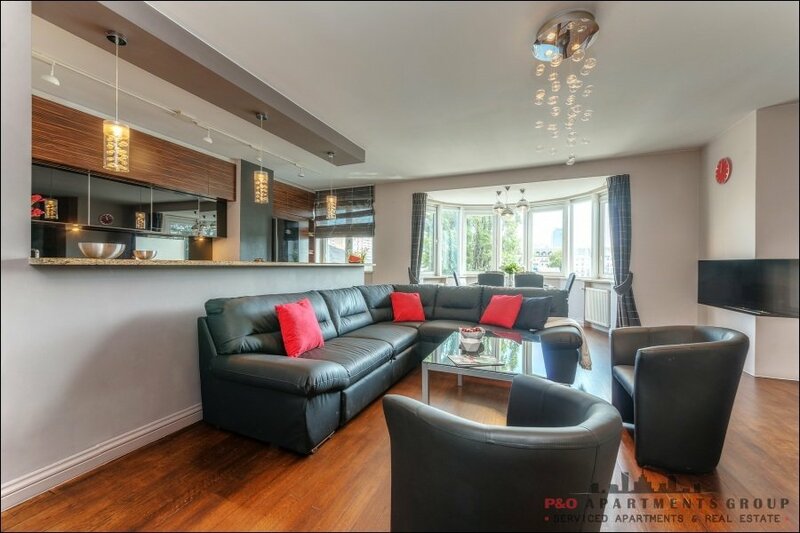 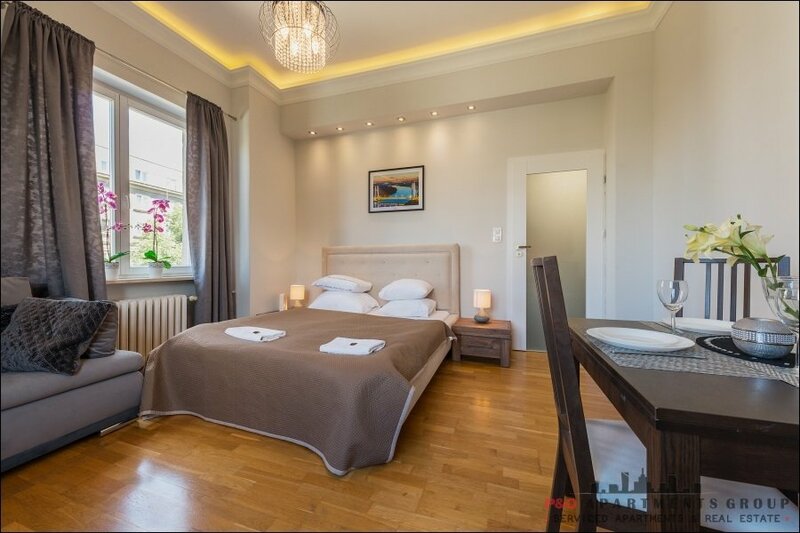 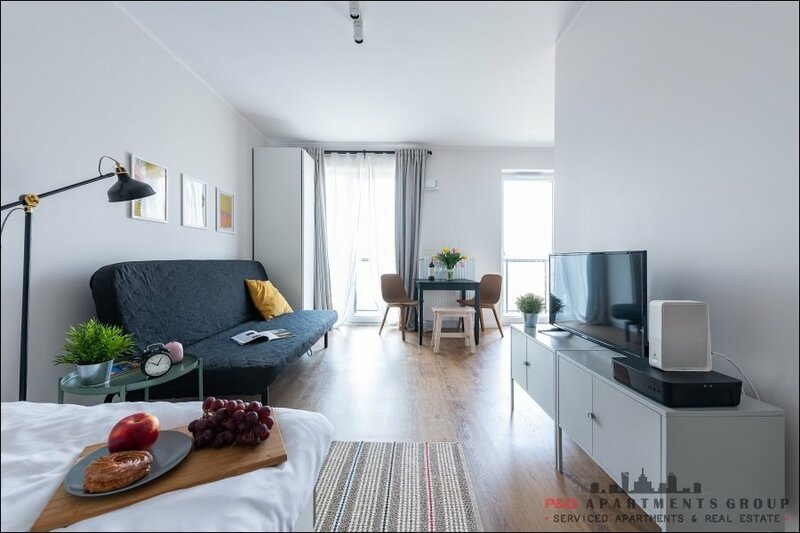 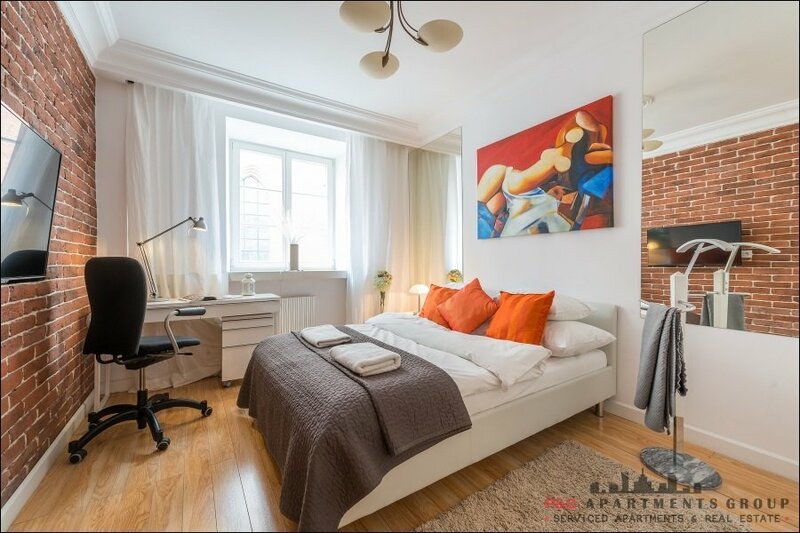 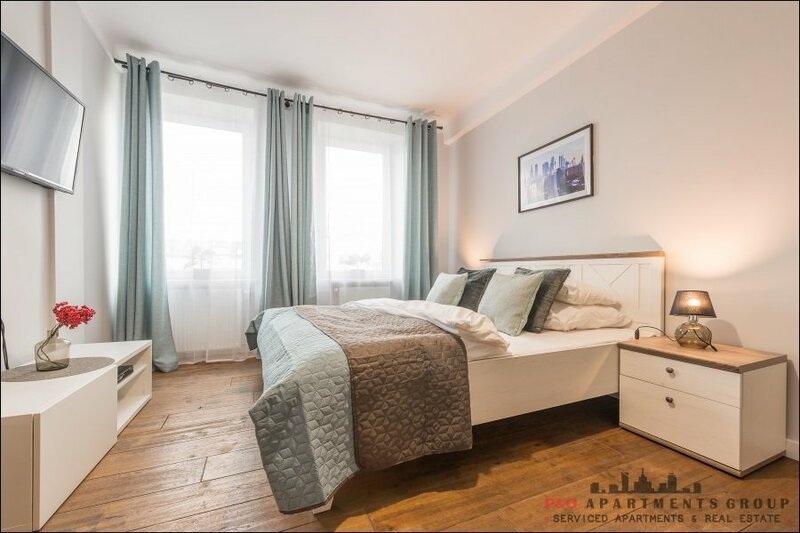 Spacious, newly renovated apartment right next to the Metro Imielin. 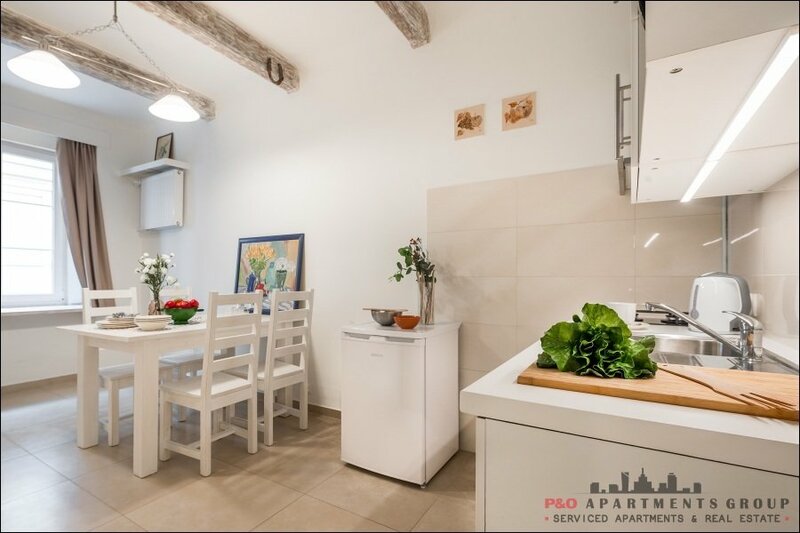 Located on a quiet street Polaka 3 on the second floor. 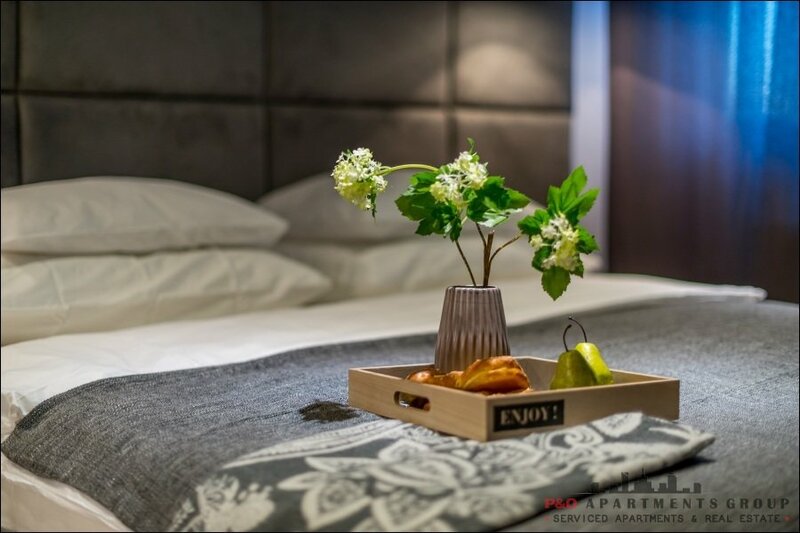 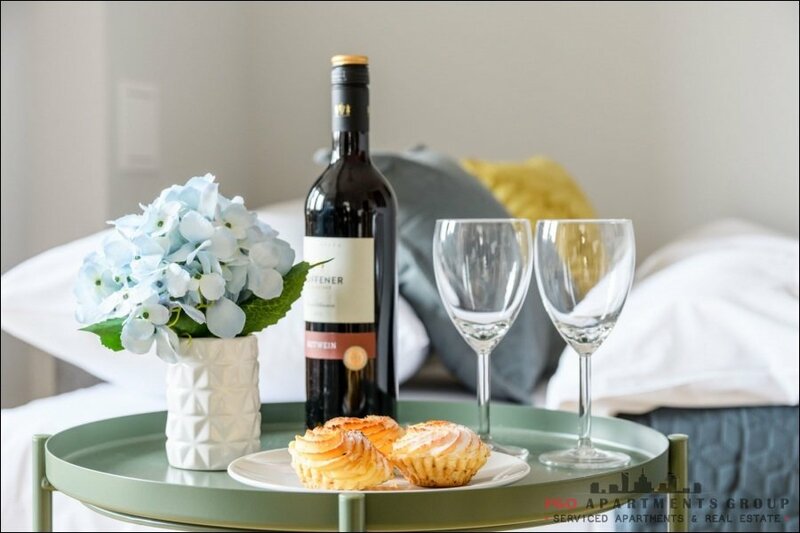 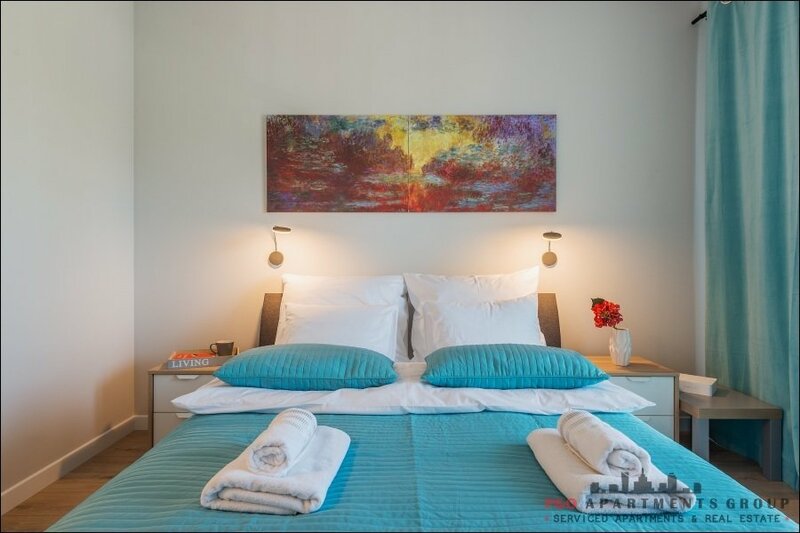 The quiet location ensures the comfort of our guests' stay. 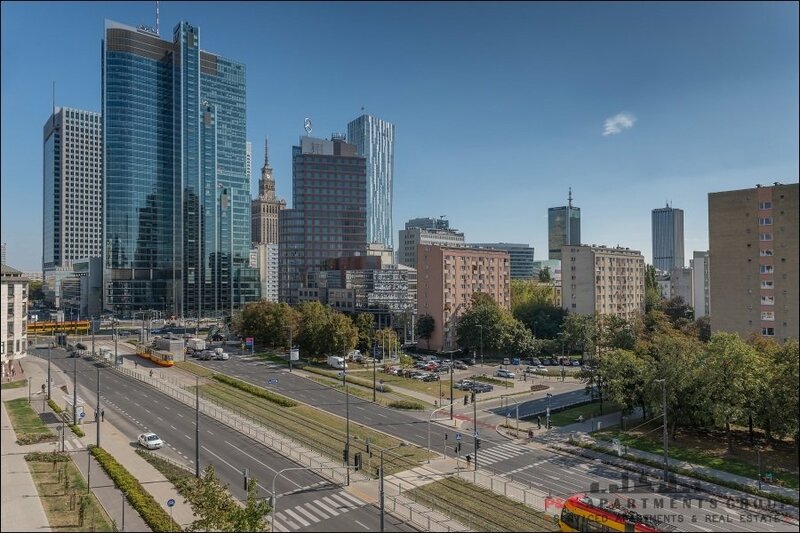 Nearby there is a lot of commercial and service points, a cinema. 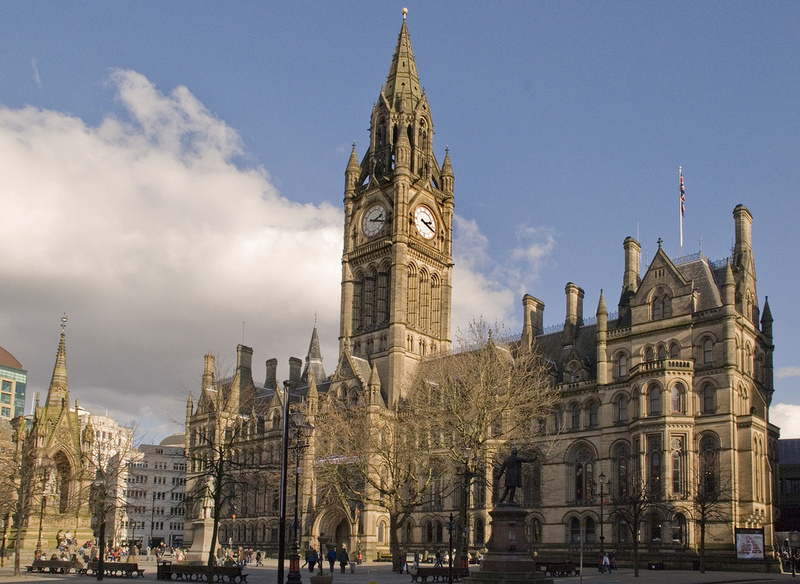 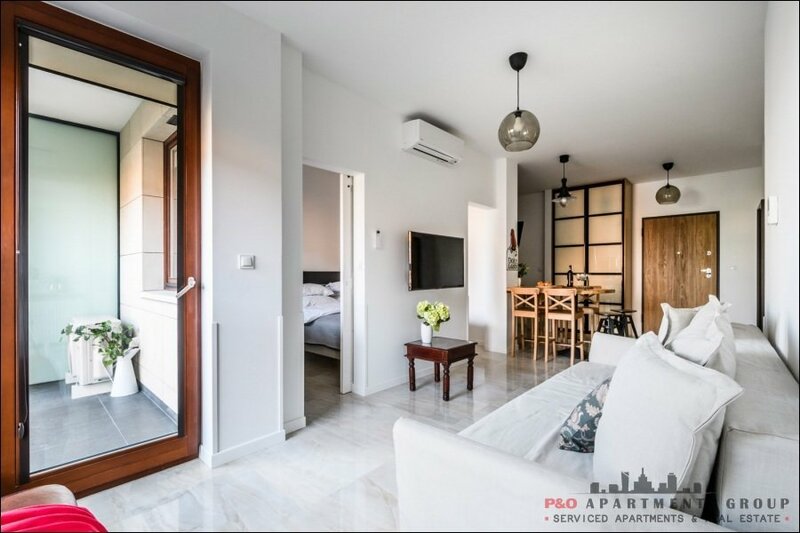 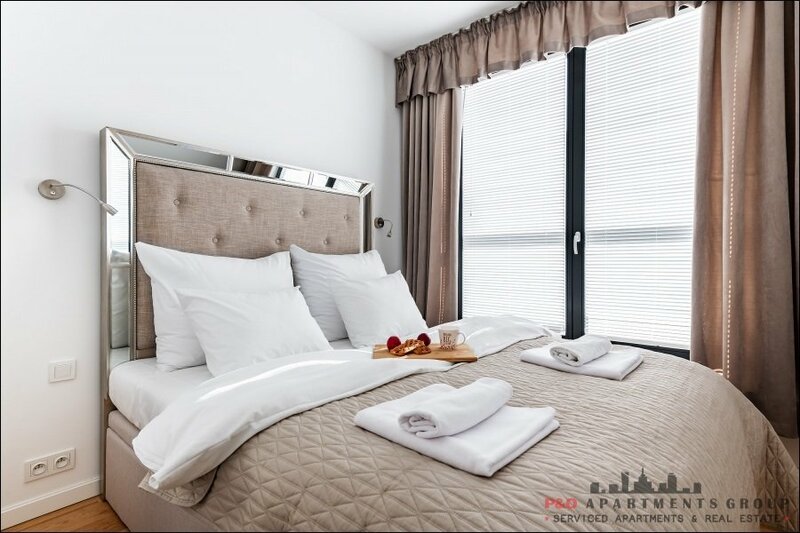 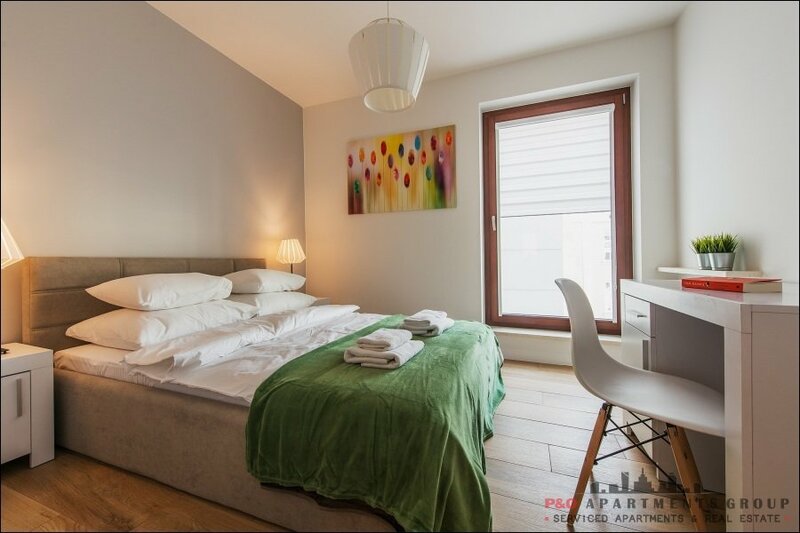 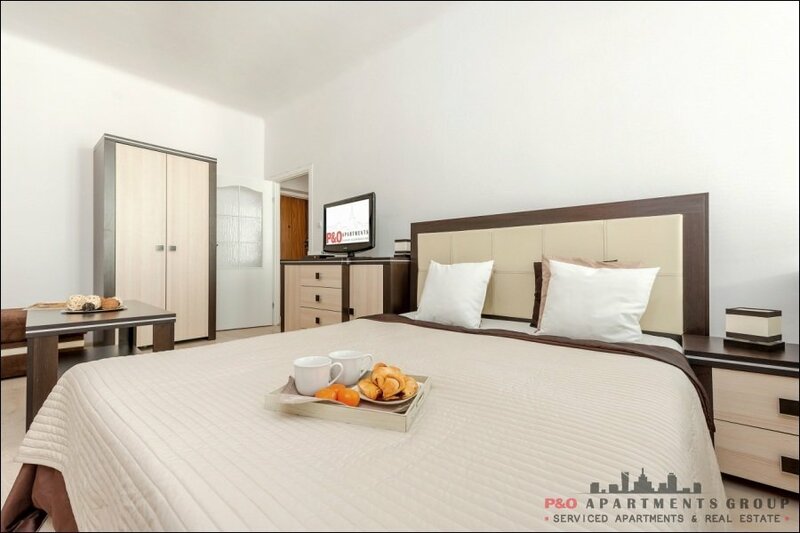 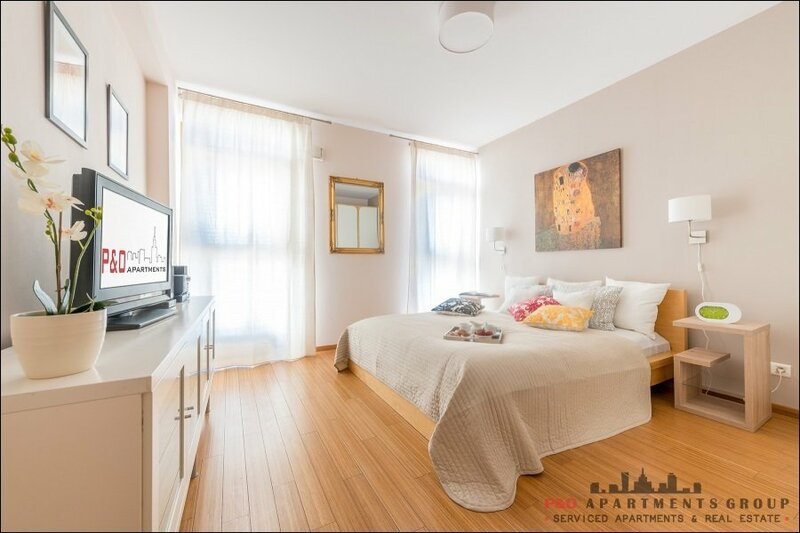 The apartment consists of two bedrooms, a large living room with balcony, separate kitchen, bathroom and separate toilet. 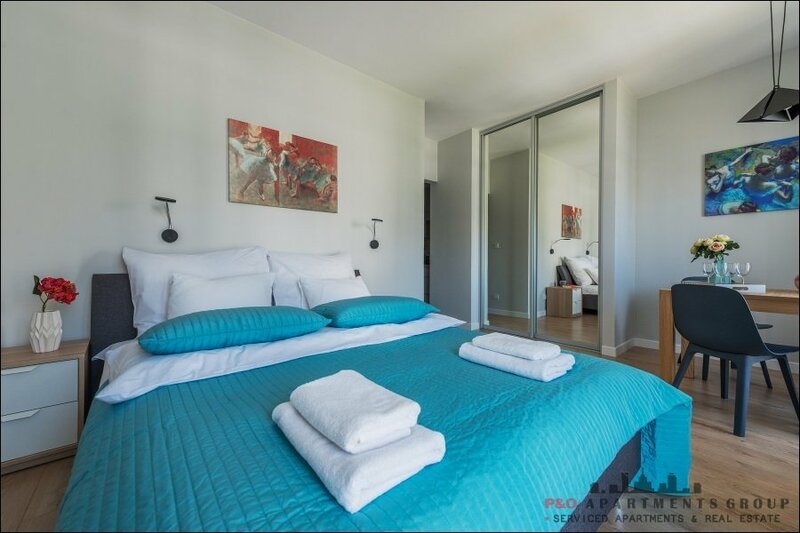 In the main bedroom there is a wide double bed and a large wardrobe. 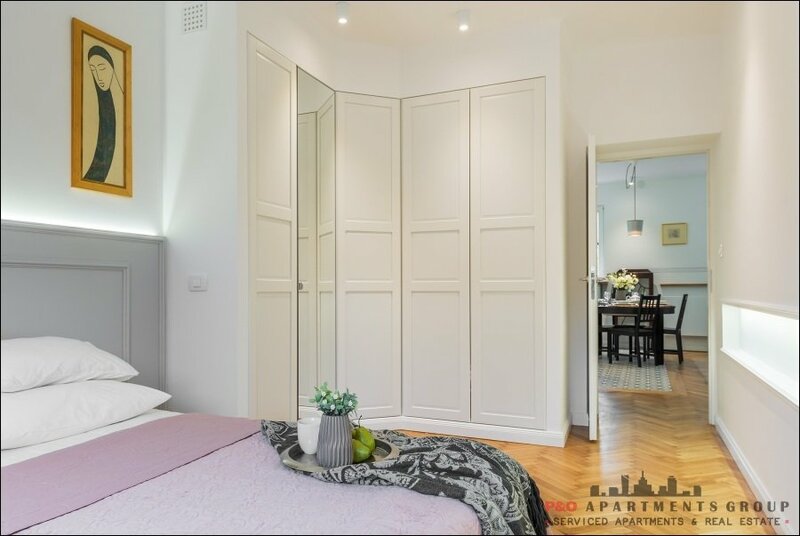 The smaller bedroom has a double sofa bed and a wardrobe. 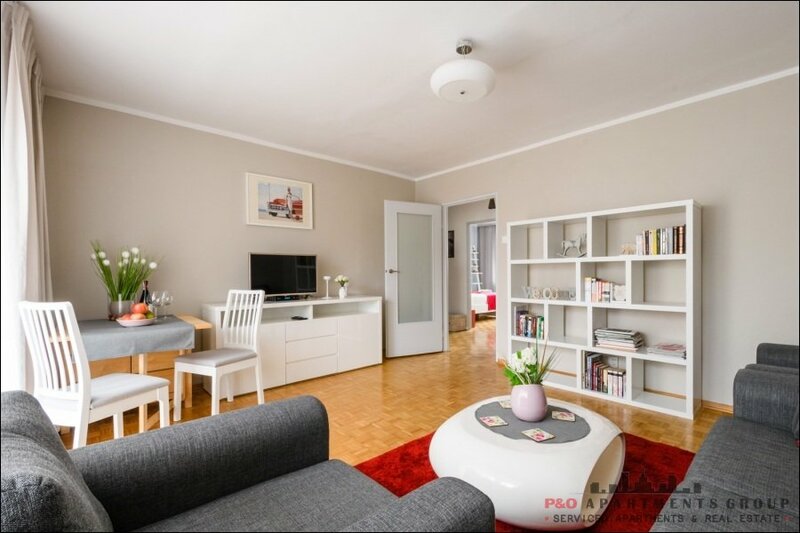 The living room is equipped with a sofa bed corner, table with 6 chairs.